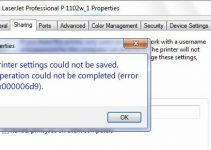 This article will show you how to fix error 0X80070091: The directory is not empty while you trying to delete a file or folder from any section of your computer. This error can occur in Windows 7,8 and Windows 10. As we saw, the message above clearly shows that you cant delete folders you tried to delete, the part warning that “the directory is not empty” may make you disturbed about what the message actually means. Here are some basic reasons that error 0X80070091 can appear. You have too much junk files in the temporary locations folder. 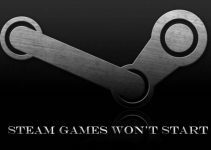 Damaged or corrupted PC drivers. If you do not have full administrator rights, you cannot delete any files or folder on that computer. Before performing these solutions below, ensure that you have full administrator rights on your own PC. Step 2. Now you choose the drive you want to clean up, and click OK. Disk Cleanup will start to run automatically and will calculate how much used space you can claim on the hard disk. This may take a few minutes to complete. Step 3. Then you click the Clean up system files button. Step 4. Repeat step 3 above. Step 5. Next, you select the Previous Windows installation(s) box to check it, and click OK. Step 6. Click on Delete Files. Wait to Disk Cleanup finishes, the C:\Windows.old folder will be deleted. Try again to delete a file or folder you wanted to remove to check if the 0x80070091 error has resolved. Step 2. Then double click on the downloaded .reg file to add “Take Ownership” to Context Menu. If prompted, click on Run, Yes (UAC), Yes, and OK to approve the merge. To remove “Take Ownership” from Context Menu, you download this link Remove_Take_Ownership_from_context_menu and double-click it. Step 3. Next, open Windows Explorer and look for the parent directory of the file or folder you need to delete. Step 4. Right-click on the file or folder then select Take Ownership, Now you can try to delete the file or folder to check if the problem is resolved. Step 2. When you’ve got the “Administrator: Command Prompt” window open, type the following and press Enter. Step 3. Wait for a process to complete then restart your system. Now you attempt deleting the file or folder you wish to delete to check the error 0x80070091 has resolved. 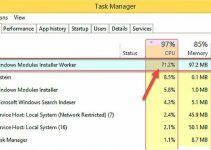 Updating Windows drivers will only be effective in case the issue appears because of outdated drivers or damaged, which is generally a cause of many other Windows errors. Step 1. Go to Device Manager by pressing Windows Key + X and click Device Manager from the list. Step 2. Once Device Manager pops up, find the driver that you want to update. Then right-click it and choose Update Driver Software. Step 3. Next, you choose Search automatically for updated driver software. Windows will now download and update the best driver for your device. Step 4. Repeat these step for all drivers that you wish to update. The last solution may be to do a System Restore and then delete the Windows.old folder as outlined in method 1. That’s it. 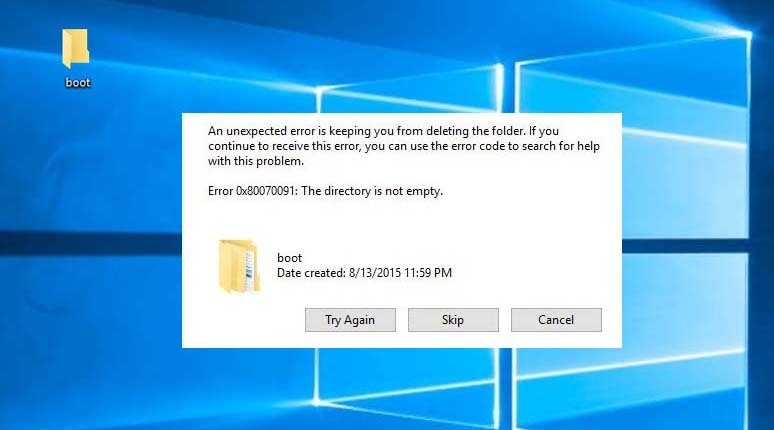 Hope this tutorial helps you to fix error 0X80070091 “Cannot Delete folder: The directory is not empty” . If you have any other Windows and Office related issues you can check for the solution in my Windows fix section.